The Japanese-style saunas in the KOI Bath & Sauna are perfect for “sweating it all out“ and the selection of steam baths is not to be missed either. 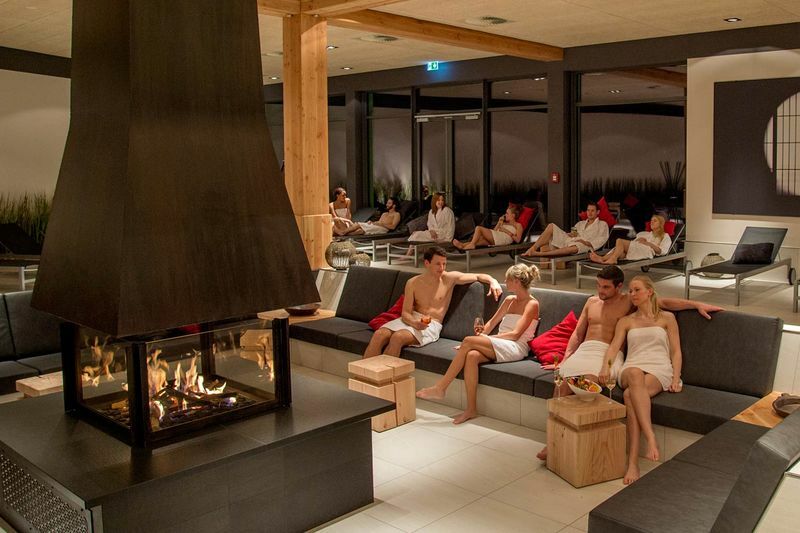 The sauna facilities also feature a large resting area, a restaurant with a fireplace and a sauna garden with a warm pool for added relaxation. KOI also offers a number of beauty and medical treatments plus massages, including special Japanese ones, as well as traditional Rasul and Hammam treatments. Start off with a swim in the 25 metres pool, then wind down in the warm water (32.05°C) of the relaxation pool with integrated massage jets and why not round it off with a sauna session then? There’s also a separate area for children with fun features such as an elephant water slide and “spitting“ seal, plus – for hot summer days – an outdoor pool featuring natural, non-chlorinated spring water and a lovely setting by the edge of the forest.